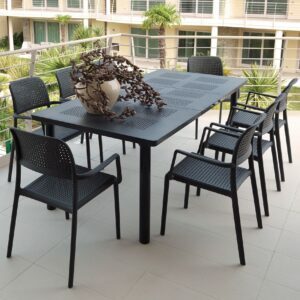 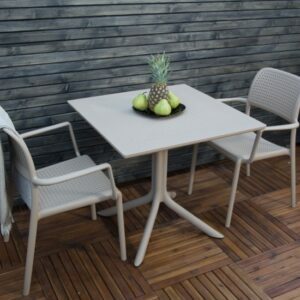 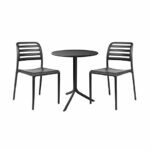 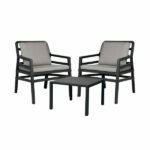 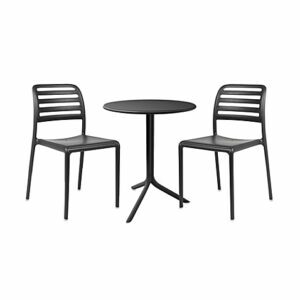 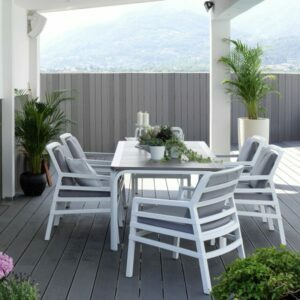 A beautiful European 3-piece patio setting that’s UV & weather resistant, commercially rated and comfortable with spacious chairs. Made to withstand the elements outdoors, but classy enough furnish an indoor space – that’s the beauty of Italian design & manufacturing. 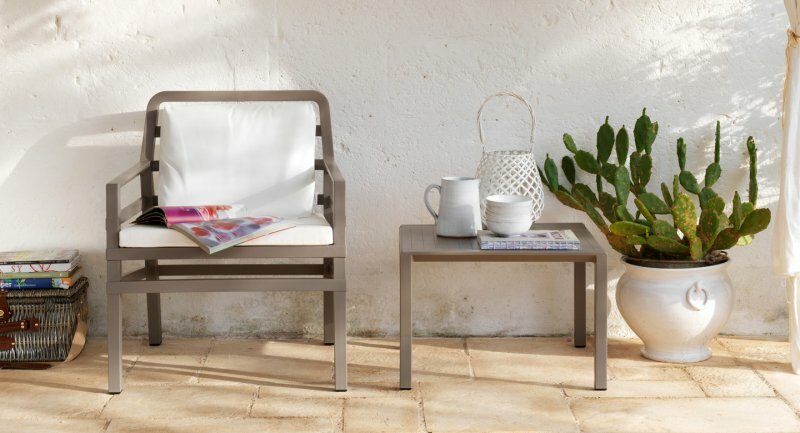 Fun times with friends and family, relaxing in total style on your Aria Balcony Setting. 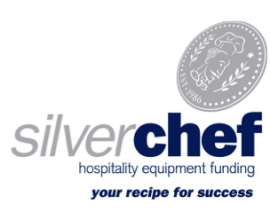 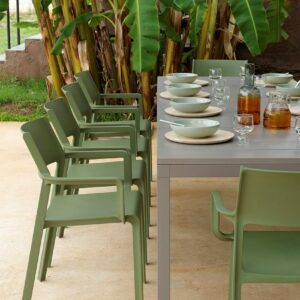 Your terrace or garden becomes the ideal venue where cool banquets or parties come to life, furnished with creative and ultra-personal colour solutions. 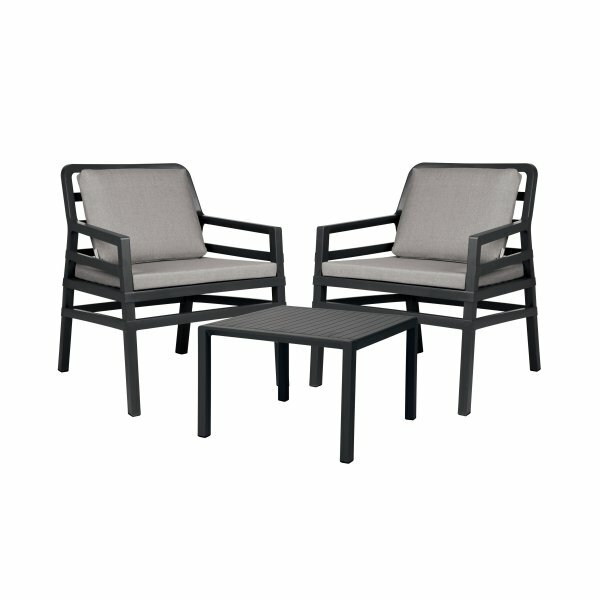 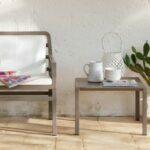 This Nardi garden set is the result of the refined combination of the Aria, a generous patio armchair made of fiberglass resin with matching padded cushions and the Aria Coffee Table. 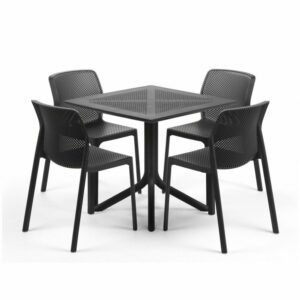 Ideal for outdoor (and indoor) areas, pleasant pool surrounds, contextualized in groups or as a solitary object that fills space with great personality conveying an almost sculptural presence. 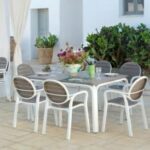 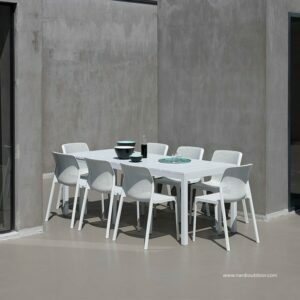 Designed and made in Italy from 100% recyclable high quality UV and atmospheric pollutant resistant polypropylene resin, you’ll get years in the New Zealand sun out of these low maintenance feature settings..